For a long time traditional beam and block flooring was the standard system for UK house builders. It was seen as the “next logical step” back in the days when the emphasis was on quantity as opposed to quality. The CUBE6 Thermal Flooring system comprises of our 150mm deep precast concrete floorbeam together with a precision cut solid core polystyrene panel. 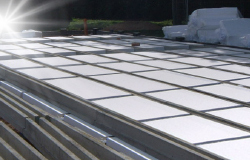 Separate building blocks and insulation over are no longer required as the polystyrene provides both insulate and the formwork onto which a concrete topping can be poured. The panels interlock on the underside to envelope the floor beam and provide unbroken layer of insulation below. 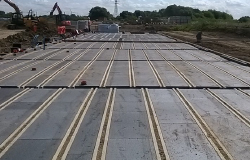 We can design and supply Thermal Floors for the complete range of U Values required for any house design in any configuration with any precast beam layout for every site. 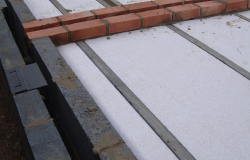 This is achieved without the need for any additional insulation above the thermal floor.